The Sit Room brings you inside the secretive Situation Room of the White House, the most important deliberative room in the world, during the early 1990s when the author was one of the policymakers who framed the Clinton Administration's policy towards the bloody Balkans War. 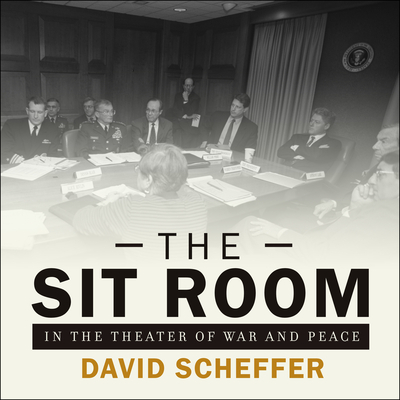 Drawing upon newly declassified documents and his own notes, David Scheffer, who later became America's first Ambassador-at-Large for War Crimes Issues, weaves the true story of how policy options were debated in the Sit Room among the highest national security officials. The road to a final peace deal in late 1995 came at the high price of the murderous siege of Sarajevo and ethnic cleansing of mostly Bosnian Muslims from their homes and towns, including the genocide of Srebrenica's men and teenage boys. The Sit Room reveals the behind-the-scenes story about how American policy evolved-often futilely-to try to stop an intractable war and its shocking atrocities. Main actors in the Sit Room include: the assertive Ambassador to the United Nations, Madeleine Albright; the State Department's ace negotiator, Richard Holbrooke; the cerebral National Security Adviser, Tony Lake; the immigrant Chairman of the Joint Chiefs of Staff, John Shalikashvili; the bulldog Deputy National Security Adviser, Sandy Berger; and White House moralist, David Gergen.